Cadillacs have a certain magnetism. This is especially true regarding their full-range traction control system. Sensors at front wheels utilize a magnetic field to detect the slightest hint of traction-robbing slip, then instantly relay this information to the on-board computer. In milliseconds, engine torque is modulated in concert with the brakes to maintain smooth and predictable traction. �I fell in love!� said David Trembath as he sat there quietly downing a well earned beer. �That�s what caused it, but it really is a beautiful car�. It all started in 1994. David was visiting a long lost friend in Vancouver Canada, and as he was already well into the Cadillac scene with an impeccably restored white �61 Coupe and another silver one awaiting in the wings, he decided he�d really like to have a genuine Cadillac baseball cap. So his mate arranged a visit the local Cadillac retailer. �Yes, we can supply a cap, but would you like to look around the shop for a few minutes while we fetch it?� Well, that was the end of that! For there on the floor was a brand new, shiny Eldorado Coupe. And David fell in love. Well, love may be a wee bit strong but the emotions were working overtime. He was able to hold himself in check and leave with new cap in hand, but he never forgot the initial experience of seeing the sleek beast sitting on the floor begging to be taken home. A couple of years later another friend of his decided he�d like to have a look at a new Hummer and made arrangements to visit the Australian agent who was located in Perth. Well, lo and behold, the Agent was in the process of wrapping up his agency arrangements with Cadillac in preference for Hummer. And he just happened to have an Eldorado Touring Coupe demonstrator available for immediate sale. Now the friend well remembered the vivid account David had repeated on occasions about the Canadian experience, so at the first opportunity he passed on the good news. In January 1997 David found himself at Auto American Perth, whose main line, until recently, was to import, convert and sell Cadillacs. One of their major clients was reputed to be Flinkiers of Melbourne. But AAP had taken a strategic decision to move to Hummers in response to market changes. 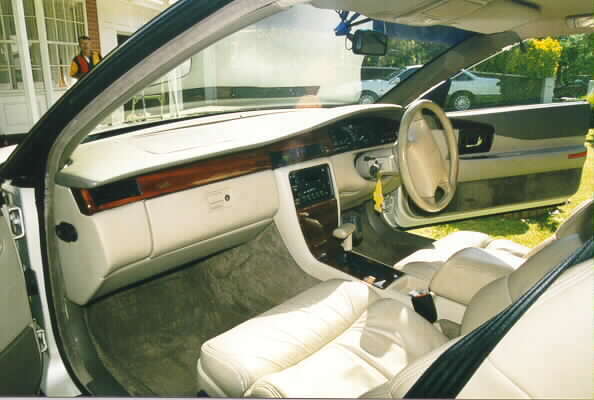 The Eldorado Touring Coupe on offer had been converted to RHD and complianced, and despite being a company demonstrator, had only completed 2,353kms. So on 6th January 1997 THE OFFER was made and after some minor haggling the deal was struck, money changed hands and David became the proud owner of a 1994 Cadillac Eldorado Touring Coupe. 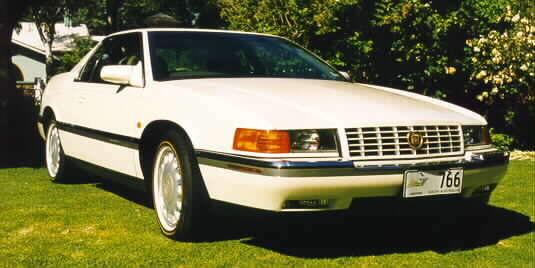 The Eldorado Touring Coupe is rated by David as very swift, an excellent handler and oh so comfortable on long trips. And in terms of the most driven car at last year�s Nationals, this car bolted it in. It seems that everyone wanted to experience the thrill, the comfort, the power, and the sheer controllability the car provides. David also says the paint is sensational! It has a fantastic finish, huge depth, and a beautiful satin lustre which elegantly changes colour very slightly depending on the angle of the sun to the viewer. David�s initial emotional experience regarding the car�s attraction has been backed up by the huge number of �oohs� and �aahs� he receives every time he takes it on the road. It is constantly attracting comments such as �beautiful car�, �fantastic lines�, �I love the paint job�, and so on. 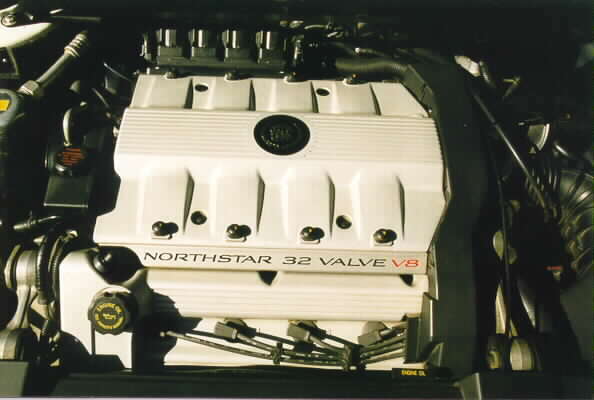 But, while many people share David�s enthusiasm, they can�t identify it as a Cadillac from the USA. This is in contrast with his instantly recognisable �61 coupe. But to a tee, all comments have been very positive. Unfortunately, as with all good stories, there is often some downside to the tale. And the same goes with this story. David�s love has let him down on a few occasions, and while things have been fixed, it still has a few bugs to be ironed out. The good news is that David is working with the supplier and manufacturer to achieve positive resolution so we expect to see everything on track real soon now. At the end of our session I asked the cheeky question �David, which do you prefer, the �61 or the Touring Coupe�. And David leaned back in his chair, took another slow sip of beer and replied �When I�m taking my overseas visitors on short tours, to say the Barossa Valley, the �61 is the first choice. It�s got excellent vision all round, it�s a capable cruiser and has plenty of room for 6 people. �But when I need to move interstate real quick and arrive in a relaxed state, then I can�t go passed the Cadillac Eldorado Touring Coupe.� PS � David�s everyday car is currently a BMW 635CSI Coupe. He also has a collection of late 50�s Studebakers which he proudly allowed the Victorian Cadillac Club members to view when they visited South Australia mid-November.